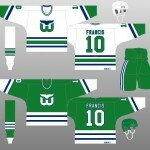 Today is the 36th anniversary of the famous record-setting fight between the Whalers and the Saints of the WHA. To celebrate, we’ve (finally) posted the extended audio version which until now had only been available on the “Whalers… Score!” LP from the late 70’s. 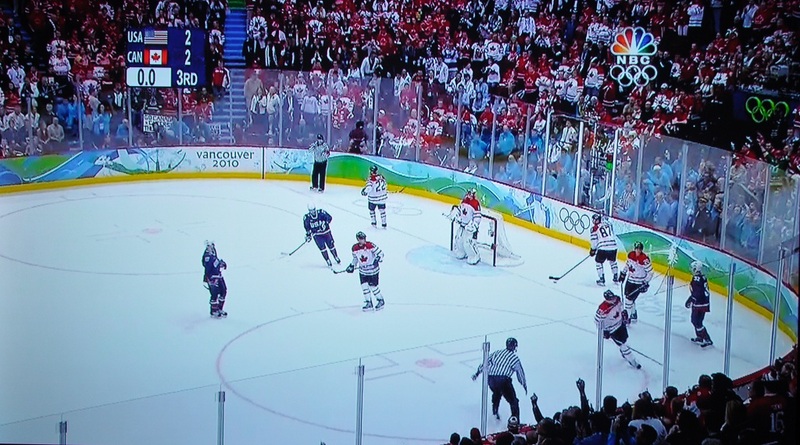 This version adds over 2 minutes of play-by-play action! Go take a listen! We have also added a video retrospective on the fight that FSN put together a few years ago. While no video is known to exist of the actual fight, the FSN reel has some interesting interviews. Longtime Hartford Courant sports writer Jeff Jacobs has succeeded where many have failed. He tracked down and corresponded with Jack Say, composer of Brass Bonanza. Can you believe Jack Say is a pseudonym and the song was not originally titled ‘Brass Bonanza’? Get all the details from Jeff’s column, “The Beat Turned Into A Bonanza”. 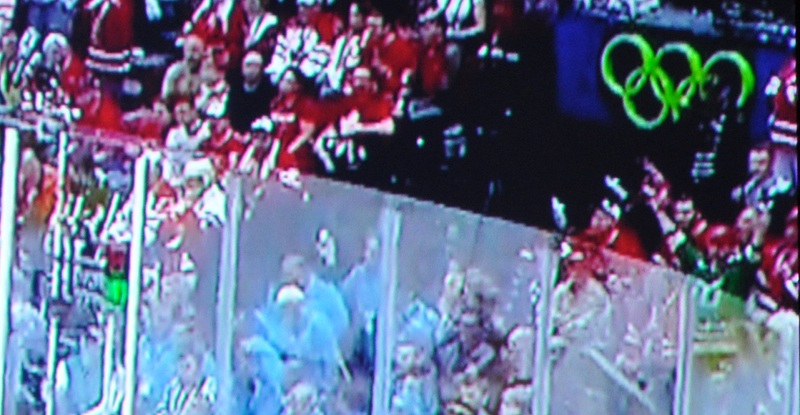 Not good at “Where’s Whalers” or give up? Check out a zoomed-in version of the picture. 🙂 Hint: He’s just below the green Olympic rings on the right side. And to all those die hard fans out there, don’t worry… We’ve got some more updates coming to the site later this year – we promise! We’d also like to thank those who have made donations and made it possible for us to continue with the site. For those that have never heard The Zambonis and their quirky hockey music, what are you waiting for?